Jackpot Fruity was launched in 2017 and this brand carry a old-school kind of look. What the casino may lack in looks, it makes up for it with its functionality, ease of use and features. The game selection on the casino is very wide. They aim to please all sorts of players and they do that fairly well, especially the players who love slots. The game collection consist of Slots, Live Casino, Jackpots and classic table games like Baccarat, Blackjack variants, Oasis, Roulette, Keno, Video Poker and Poker. However, it’s their collections of slots that really stand out. Powered by some of the best gaming providers in the industry, such as Netent,WMS,Pariplay, Eyecon, NYX – Gaming group (IGT, IWG, NextGen, SG Digital, Blueprint, Amaya) and Barcrest, among others, you’re bound to find the most popular slots such as Starburst, Irish Luck, Fluffy too, Raging Rhino, Ooh Aah Dracula, Dotting Doggies, as City Life 2 and Bollywood Bonanza among others. Jackpot Fruity’s customer support is very responsive and helpful, with a toll-free customer care number which is open from 9am to 1 am. Though it’s not 24/7, it’s quite adequate. You can also submit your query and have a response within 48 hours. However, it would’ve been great if the casino had a live chat support. Jackpot Fruity is operated by Cassava Enterprises. They are licensed under UK Gambling Commission and the Government of Gibraltar, two of the most player-friendly licensing authority, and with a fairness approval from eCOGRA, you know that you’re in a safe place. Jackpot Fruity: Get 10 No Deposit Spins on Irish Luck as a new member! – FS are valid on Irish Luck for 7 day. – FS wins are granted in games bonus after all FS are used. Click here and join Jackpot Fruity and collect your 10 No Deposit Spins in Irish Luck! Jackpot Fruity €/£/$1,500 + 25 Free Spins Welcome Bonus Package! 1st Deposit: 100% bonus up to £/€/$500 + 25 Free Spins! 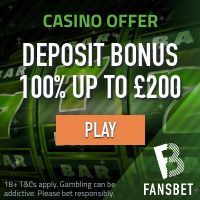 2nd Deposit: 50% bonus up to £/€/$500! 3rd Deposit: 50% bonus up to £/€/$500! The minimum deposit for each deposit match bonus is £/€/$10. The bonus wagering requirements for this welcome bonus package is x40. Click here and become a member of Jackpot Fruity and get a Welcome Bonus Package worth up £/€/$1,500 + 25 Free Spins! Jackpot Fruity accepts all major payment methods including Visa Debit, Maestro, Visa, MasterCard, Neteller & Apple Pay for those in the UK only, PayPal, Skrill, Paysafecard, Wire Transfer, Check and Entropay. All transactions and other stored information is protected by the most advanced encryption technology available. Popular Online Video Slots at Jackpot Fruity! Jackpot Fruity has some of the most popular slot machines such as Steam Tower, Spiñata Grande, Guns N Roses, Foxin Wins and Fae Legend Warrior. Jackpot Fruity also offer some of the highest paying progressive jackpot slots including Irish Luck, Fluffy Favourites Jackpot, Shaman’s Dream Jackpot, Aztec Rising Jackpot, Piggy Payout Jackpot and much more.